Finally, I could pass the test at Pre-Advanced revel ! I've failed 2 times already. It'd be herder than Hi-intermediate level. 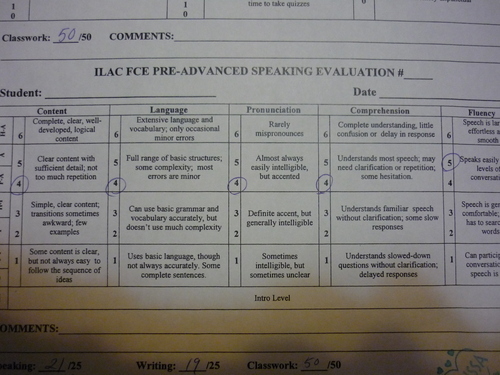 This is my speaking evaluation I got first time. 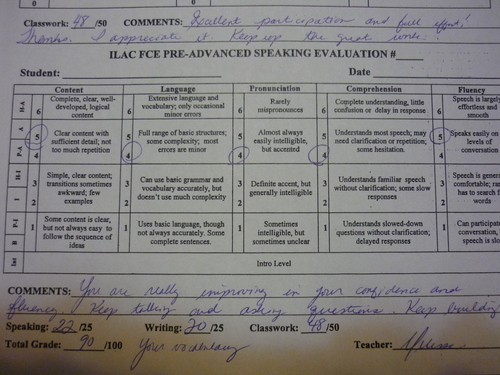 I can't tell my English is improving, but my teacher said " Your are very improving" in this paper. I got confidence. 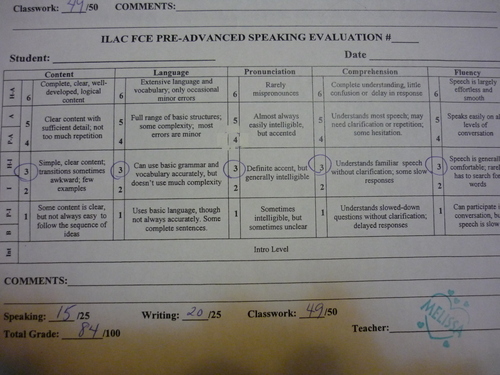 And former main class's teacher said " Aya, your listening is getting better" Above all, I got better result in the test. I can believe myself, right? However I have to learn more. It's still hard when I talk with someone. I'll do volunteer work as librarian from next week. I hope it'll help to improve my English.